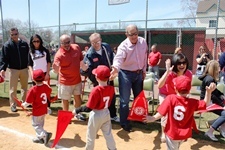 It's almost time for the 2013 Art Blooms Earth Festival, presented by Cherry Hill Township and Sustainable Cherry Hill. This free, daylong event celebrates our commitment to educating and engaging the public on sustainability, health and wellness, and much more. Events include a family-fun bike ride (registration begins at 8 a.m.), free e-waste recycling, local entertainment, green vendors and crafters, delicious food, nature walks, and a very special appearance by the Phillie Phanatic! The festival itself runs from 10 a.m. to 2 p.m., rain or shine, on the grounds of Croft Farm, 100 Borton's Mill Road, and is the kick-off to Art Blooms 2013. For more information, visit Sustainable Cherry Hill's website by clicking here. This Sunday at 1 p.m., members of Council and I will join local resident Joe Zanghi to celebrate the completion of a 40-year project to plant beautiful cherry trees along a two-mile stretch of Chapel Avenue. The project, conceived by Mr. Zanghi in 1973 to unite residents and promote Cherry Hill, was completed just last weekend, with the help of several generous donors and members of the Cherry Hill Fire Department. The cherry blossom project was featured on Action News this week, and we will hold a brief dedication ceremony at 1 p.m. Sunday in the front parking lot at Cherry Hill High School West. The timing of the ceremony couldn't be better; the trees' beautiful pink blooms just began to pop today, and I'm hopeful they'll be even more vibrant come Sunday. We hope to see you there! Cherry Hill Atlantic: 11:30 a.m. Saturday at CHALL's fields at Evesham and Cropwell Roads. Cherry Hill National: 1 p.m. Saturday at National's complex at 601 Cooperlanding Road. Council and I are scheduled to attend both events, and we are certainly looking forward to both. 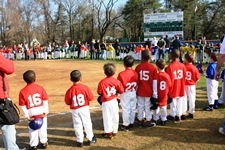 To all our Little League players, families and coaches: Best of luck on the 2013 season! We look forward to celebrating your various achievements at the conclusion of the season. The Cherry Hill Public Library concludes its celebration of National Library Week with the Friends of the Library's "Better Books" sale tomorrow from 9:30 a.m. to 5 p.m. on the Library's lower level. And don't forget to come out for the "Food for Fines" food drive if you have outstanding late fees; through tomorrow, the Library will forgive patrons' late fees in exchange for donating non-perishable food items for the Food Bank of South Jersey. We in Cherry Hill are lucky to have a place where people of all ages can discover new things through books, digital resources, programs, classes and more. Whether you are visiting the Cherry Hill Public Library for the first time or the 100th time, you are sure to find something new to explore. 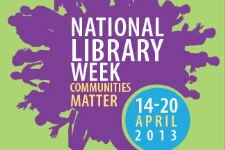 For other library events and information, go to www.chplnj.org. It's almost time for the 2013 Art Blooms Earth Festival, presented by Cherry Hill Township and Sustainable Cherry Hill. This free, daylong event celebrates our commitment to educating and engaging the public on sustainability, health and wellness, and much more. Events include a family-fun bike ride (registration begins at 8 a.m.), free e-waste recycling, local entertainment, green vendors and crafters, delicious food, nature walks, and a very special appearance by the Phillie Phanatic! The festival itself runs from 10 a.m. to 2 p.m., rain or shine, on the grounds of Croft Farm, 100 Borton's Mill Road, and is the kick-off to Art Blooms 2013 [http://cherryhillarts.blogspot.com/] . 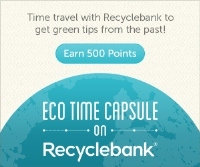 For more information, visit Sustainable Cherry Hill's website by clicking here [http://www.sustainablecherryhill.org/get-involved/earth-day-festival/] . This Sunday at 1 p.m., members of Council and I will join local resident Joe Zanghi to celebrate the completion of a 40-year project to plant beautiful cherry trees along a two-mile stretch of Chapel Avenue. The project, conceived by Mr. Zanghi in 1973 to unite residents and promote Cherry Hill, was completed just last weekend, with the help of several generous donors and members of the Cherry Hill Fire Department. 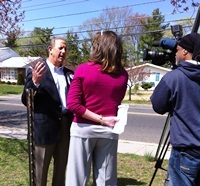 The cherry blossom project was featured on Action News [http://abclocal.go.com/wpvi/video?id=9069276] this week, and we will hold a brief dedication ceremony at 1 p.m. Sunday in the front parking lot at Cherry Hill High School West. The timing of the ceremony couldn't be better; the trees' beautiful pink blooms just began to pop today, and I'm hopeful they'll be even more vibrant come Sunday. We hope to see you there! non-perishable food items for the Food Bank of South Jersey. We in Cherry Hill are lucky to have a place where people of all ages can discover new things through books, digital resources, programs, classes and more. Whether you are visiting the Cherry Hill Public Library for the first time or the 100th time, you are sure to find something new to explore. For other library events and information, go to www.chplnj.org [http://www.chplnj.org/] .